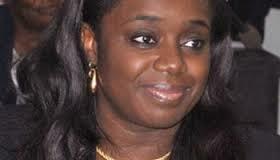 Mrs. Adeosun was reported to have resigned his appointment as minister earlier Friday, over allegation that she forged her National Youth Service Corps (NYSC) exemption certificate. The media, especially social media have been awashed with allegations of NYSC certificate forgery for some time now. But the minister had denied the allegation. Presidency sources said it was not clear if the minister is under any official pressure to resign, “but what l can tell you is that nothing is certain, there is no official confirmation that that had taken place,” News Investigators was told. Even at the Ministry of Finance headquarters, where reporters went to find out the true situation, confusion pervaded the atmosphere as none of the officials could confirm the minister’s resignation. Her official car was parked at the minister’s parking lot. At the seventh floor of the ministry where the minister’s office is, her security detail and other close aides were seen at their duty posts. Some of them who spoke with THISDAY on the condition of anonymity, said the minister was in her office working. One of them said it was unlikely that the minister would resign at this time when a high-level team of the International Monetary Fund (IMF) is billed to visit next month. Her Special Adviser on media, Mr. Yinka Akintunde, was reluctant to see journalists. When contacted by THISDAY, Senior Special Assistant to the President on Media, Garba Shehu, said he had not been brief on such development. But senior officials of the ministry told journalists at about 3:15pm Friday that the minister did not resign her appointment. To underscore their position, the officials who pleaded anonymity said top Presidency officials called them to find out whether the online reports about the minister’s resignation was true or not. They argued that had the minister resigned, the Presidency, which should be privy to such information before others should not turn round to start calling the Ministry of Finance to confirm such.